The CORSAIR K70 RGB MK.2 SE is a premium mechanical gaming keyboard for those who want to stand out. 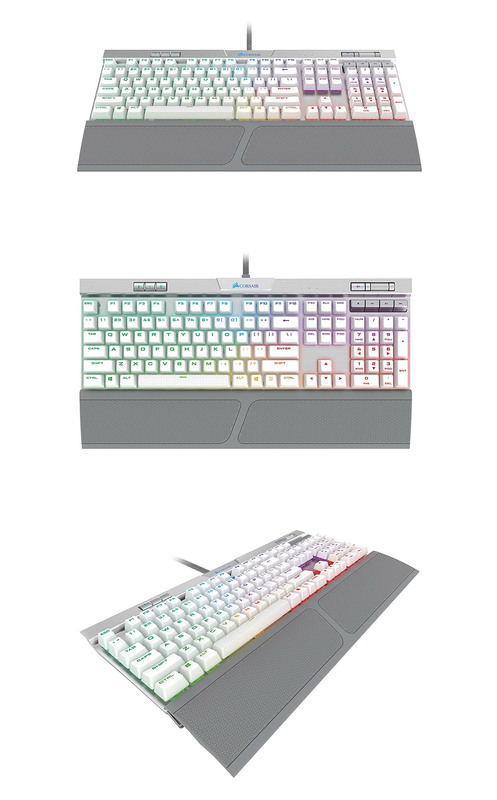 Equipped with a lightweight durable silver aluminium frame, CHERRY MX Speed key switches and PBT double-shot keycaps, it pairs a unique style with durability and accuracy you demand. Powerful CORSAIR iCUE software enables sophisticated macro programming, vivid dynamic multicolour illumination and full-system lighting synchronisation. With 8MB of dedicated onboard memory and hardware playback, you can take all your settings with you. A host of extras put your PC at your fingertips, with USB pass-through, dedicated multimedia controls, a detachable soft-touch wrist rest, making it easy to play your way and minimise interruptions. 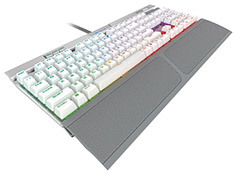 It's the most amazing K70 keyboard yet.